Evey year, approximately 30,000 dedicated runners line up in Hopkinton to run the Boston Marathon. 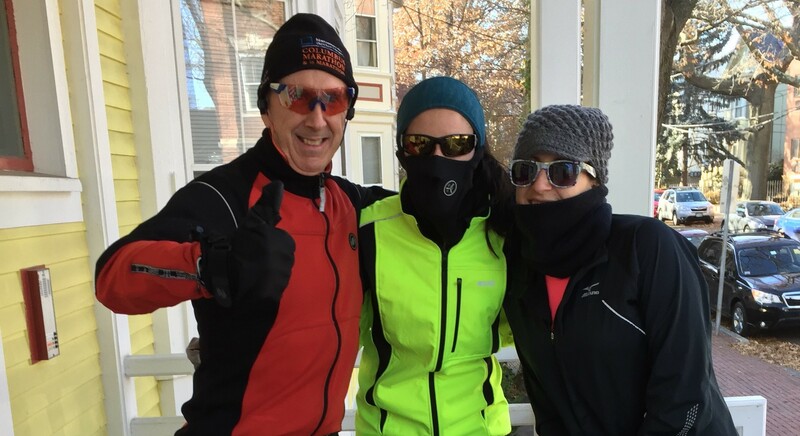 This year, three of them will be representing Team BHCHP, through the John Hancock Marathon Non-Profit Program. Last year, John Hancock-sponsored runners raised $13.1 million for charity. Each of our runners will be raising at least $10,000 for our life-saving work while they train to run the 123rd Boston Marathon, the oldest annually contested marathon in the world. The Fort Wayne, Indiana native has been a recreational runner since high school, and participating in the 26.2 mile race is something that has always been on her bucket list. Marathon training became an important hobby for Kelly since she finished her 3 year medical residency in June 2018, during which she could not work out regularly. Can’t make it to the finish line in person to cheer Caitrin on? You can always make a contribution to Caitrin’s fundraising or share the page with your network. Thank you to all of our supporters for being an essential part of Team BHCHP and supporting our patients all year round! Get to know the members of Team BHCHP and cheer them on by reading our series of blog posts.